From distemper to parvo, these common illnesses can have serious and dangerous consequences for your pet. Even worse, deadly illnesses like rabies can transfer to humans, which puts your family at high risk for contracting the disease. Pet vaccinations offer an affordable and very effective way to reduce your pet’s risk for contagious and deadly illnesses. Most importantly, vaccinating your pet will help keep your family healthy too. Since our main focus is to keep your pet feeling their best, we can take care of all regular checkup needs, including pet vaccines, parasite testing and blood panels, etc. 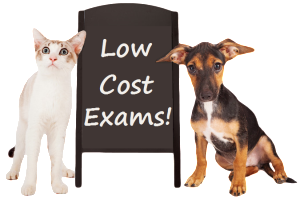 If you are looking for a quality and affordable animal hospital that offers wellness exams and pet vaccines in Kelowna, give our friendly staff a call. Our veterinarian strongly recommends that all cats and dogs receive core vaccinations. We need to provide these pet vaccines when your pet is still young. Since immunization does not last forever, regular booster shots are necessary to keep your pet protected. 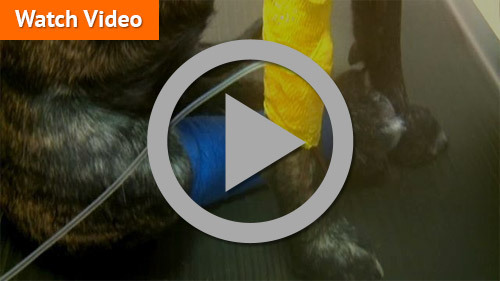 All dogs need the core canine vaccination series to be the healthiest they can be. This includes protection against rabies, parvovirus, hepatitis, distemper, leptosporosis and bordetella. 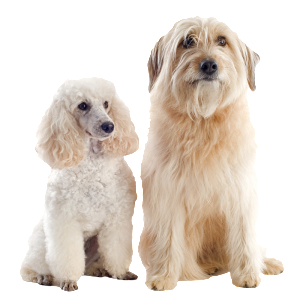 If your dog is being boarded in a kennel or is taken to a pet salon regularly for grooming, we recommend the canine influenza vaccine. All indoor and outdoor cats should receive core feline vaccines, including rabies. Feline vaccinations protect against many problems including intestinal disease and upper respiratory infections like Rhinotracheitis. Keep your pet safe and stay up to date on their shots to help them to avoid contracting a painful disease or deadly virus. If your pet is left unprotected and they contract one of these dangerous illnesses, professional treatment can be painful and expensive. If you have a new puppy or kitten, our veterinarian will make sure your pet is up-to-date on core vaccinations, including rabies. The puppy and kitten care shot series is available here at our Animal Hospital. This series consists of core vaccinations, starting at 8-10 weeks of age and continuing to about 15-17 weeks of age or until your pet’s immune system fully matures. The mother’s milk provides immunity to puppies and kittens, but they lose this protection after they are weaned. Vaccinations and booster shots will provide the best protection while their immune system continues to develop. Staying current on pet vaccines is a safe and effective way to keep your furry friends happy and healthy. If you are concerned about your pet having an allergic reaction to a vaccine, you can rest assured that the risk is extremely low. In fact, there is a much greater chance for unvaccinated pets to contract a preventable illness, than suffer an allergic reaction to a vaccine. If in the rare instance an animal has an allergic reaction to a vaccine, we administer a reaction shot along with their next vaccine(s) to prevent further problems. Dr. Kular and his staff are happy to answer any questions you may have about the safety and importance of vaccinations. Is your pet protected? Contact our clinic for pet vaccines in Kelowna at 778-753-3507. We are located at 156 Asher Road, Kelowna, BC V1X 3H6.